Gaelic has been the language of Ireland and Scotland for over two thousand years (TurasG informs us), and is still alive and in common use in both countries to this day (but not used at all by TurasG). This beautiful and rich language gives both Ireland and Scotland a unique identity (but you won’t find any of it in this website). “Our Gaelic culture is important to us in Inverness and the Highlands, as is tourism”, added Provost of Inverness Alex Graham. 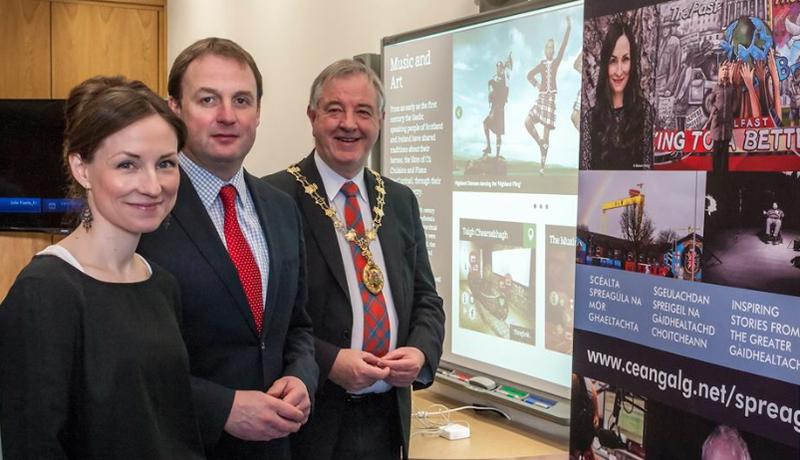 “TurasG will bring these together in an effective and practical way, allowing visitors to explore and enjoy the culture of Scotland’s Gàidhealtacdh [sic] and Ireland’s Gaeltacht to the increased benefit of both”. What an incredible coincidence! It’s almost as if these august newspapers had simply reprinted unquestioned a press release written for them by CeangalG, unedited and complete with howlers! As if journalistic professional standards could ever let that happen! Agus cò iad an fheadhainn a thug airgead seachad airson na h-iomairt iongantaich seo? Surely you don’t have to ask by now? Tha Gilleasbuig dìreach air faighinn a-mach (4mh an Gearran 2015) gun deach £864,000 às an sporan Eòrpach, gun bhruidhinn idir air airgead bho na buidhnean eile, a thilgeil mar na sligean dhan làrach iomraiteach seo. Oifis Pàrlamaid na h-Eòrpa an Dùn Èideann! Tha Gilleasbuig dearg bhalbh, gun chomas bruidhinn!! Tha mi a' faighinn togail dha-rìribh 's mi a' faicinn aodann Alasdair Mhoireasdain a' nochdadh anns na pàipearan a-rithist. 'S dòcha gun e Alasdair an duine as sgileil a bha riamh ag obair an lùib poileataigs chan e mhàin an Alba ach air feadh na cruinne-cè. Siuthad, a bhalacha, togaibh i, togaibh rithe h-aodach!! A Ghruamag a ghaoil, Nach tu dh'fhas sgaiteach nad sheann aois? 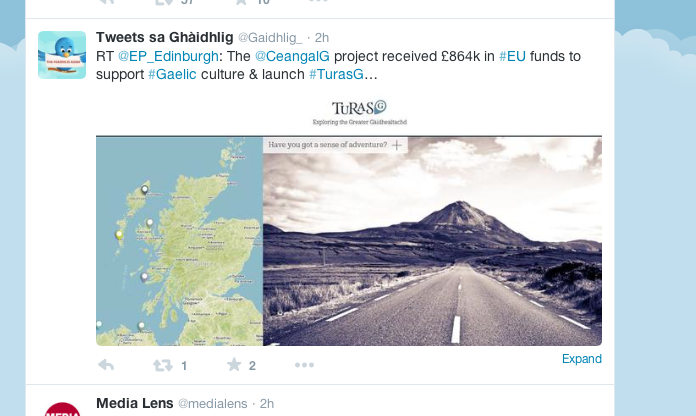 Cha leig thu leas a bhi cho searbh, ged 's tric is minig a dhiult Alasdair coir thu.